Gracefully designed with tradition at its heart, the Victoria Rugs Collection has been crafted to offer the finest quality as well as beautiful style. There is real sophistication in every rug in this range and they can be enjoyed in a choice of different colours and sizes. The Victoria Rugs collection has been made from premium New Zealand wool, with viscose detailing and each rug has been carefully hand tufted and hand washed in India. There is a smooth and silkiness to the finished article which adds to the elegant feel of each of these rugs. 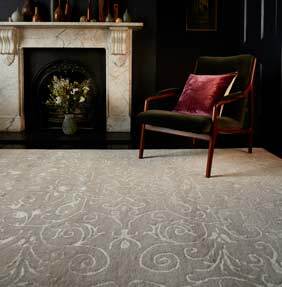 The Victoria Rugs range is part of the Classic Heritage Collection by Asiatic Carpets. This whole range has been designed to incorporate traditional oriental design with a refreshed look for the modern home.